Losing a driving license is like losing a key to your vehicle. You cannot drive your four-wheeler or ride your two-wheeler without a valid driving license as it is a punishable offense. Thus, you have to carry it with you all the time. In case you lose your driving license, it is suggested to apply for a duplicate driving license at the earliest. Follow these 3 simple steps in case you lose your driving license. What do you do when you lose something valuable? Inform the police. A driving license may not hold monetary value but it surely is a precious document when it comes to the legal aspect of driving a vehicle. Police stations have their jurisdictions. You need to visit the police station of the area where your driving license was lost. File a First Information Report (FIR) and get a copy of it to apply for your new driving license. You will also need an affidavit along with the FIR. The same can be obtained by visiting the notary office. The affidavit needs to be on a stamp paper. You need to fill an application form for the duplicate driving license. Certain Indian states offer the facility to apply for a duplicate driving license online. You can check if the state in which you reside supports duplicate driving license online application. If you cannot apply for a driving license online, then visit your nearest Regional Transport Office (RTO) and apply for it offline. To apply for a driving license online is any day a more productive option if it is available. Whether you go for online driving license application or an offline one, you will have to submit the FIR and the affidavit long with the application form. Nowadays, a driving license is issued in a smart card format and no longer follows the traditional book-based format. Applicants have to undergo a biometric session wherein their personal information is taken and stored in a chip embedded in the smart card. The RTO will follow its process and issue a duplicate driving license to you if the information submitted by you fulfills their conditions. You will not be required to undergo a driving license test again and the new driving license will be delivered to you at the address mentioned in your application form after thorough investigation. Refrain from driving your car or riding your bike till the time you have your new driving license with you. 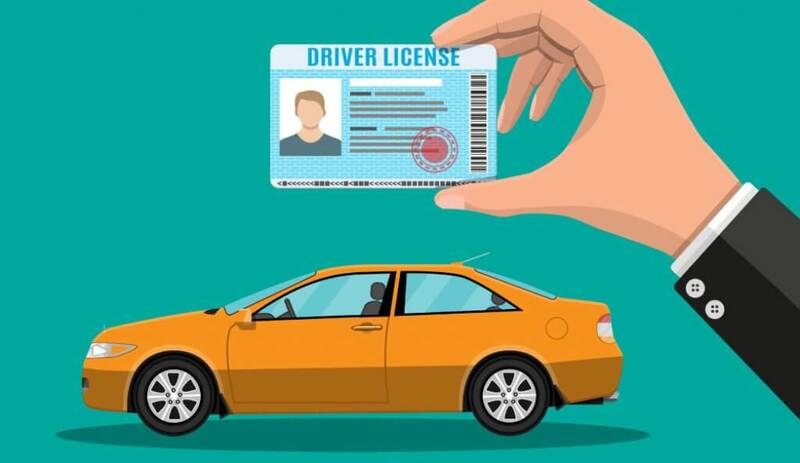 Once you have the new license, make sure to laminate it to prevent it from deteriorating. Also, make photocopies of it. Scanning the driving license and having an online copy of it is also a good way of creating a backup. You can also click a photo of your driving license with your mobile camera. These backup options cannot replace a physical driving license but can come in handy in case the driving license is lost or damaged. Other documents that are needed while driving on Indian roads are a valid Vehicle Insurance Policy, Pollution Under Control (PUC) certificate and the vehicle’s Registration Certificate. Creating an online backup of the above-mentioned documents is also a good idea. Remember, a driving license gives you the authority to drive. However, it is an unwritten rule that you have to drive safe. Driving is a responsibility and it must not be taken lightly. Rash driving and driving under the influence of intoxicating substances can endanger your life as well of lives of those around you.